What do we know about the anti-emo campaign now? For a start: Iraq’s Ministry of the Interior, you’ll recall, sent forth a statement on February 13 calling for “eliminating” the “phenomenon” of emo youth in Iraq. This offered an official imprimatur, and arguably incitement, to vigilante violence against “deviance.” One result of the uproar against the killings, and against the Ministry’s weird words, came about this week. The incriminating statement vanished from the police website. You could argue this is an attempt to quiet the fears their warnings roused. Or you could say, more plausibly, they’re trying to cover their tracks. I feel mildly prescient for having imagined they’d do this; I screensaved the original proclamation. You can find it here. Deterrent legal and administrative measures should be taken against students who engage in this deviancy inside schools. Cooperation and coordination are necessary between school administrations and the Interior Ministry’s social police, by reporting these cases to eliminate them and take legal measures against the perpetrators. 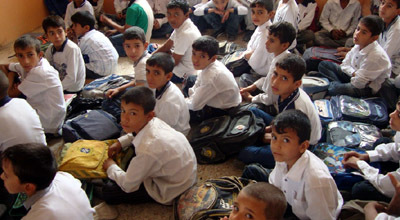 Last week, according to Al-Shaafaq News, the Ministry of Education followed up with a circular urging schools to impose uniforms “of gray and yellow colors” for all students, because those hues “please the eye” according to a Quranic verse (found in Sura al-Baqara, for the curious). This should protect kids from “exotic trends.” Killing them also helps, as we now know. Let’s unpack this for a moment. 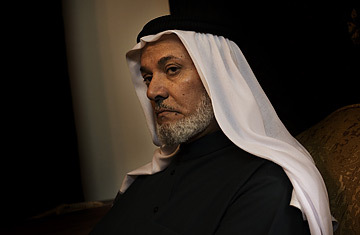 Harith al-Dhari is one of Iraqi Sunnis’ most respected religious figures; his family has a long history of leading insurgencies against British imperialism. The post-Saddam Shi’ite governments have repeatedly accused him of collaborating with Al Qaeda in Mesopotamia (he’s denied it, claiming the group killed four dozen of his relatives). At month’s end, Iraq is hosting an Arab League summit for the first time in two decades, a considerable source of national pride. 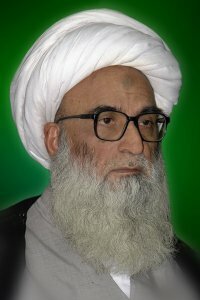 Al-Dhari has urged the region’s leaders not to lend legitimacy to the increasingly repressive Shi’ite leadership now in power. The general’s slightly paranoid story suggests the government is exploiting the emo reports as a handy chisel to chip away at al-Dhari’s credibility before the summit starts. Curiously, Dan Littauer and his unreliable website Gay Middle East have spread the exact mirror version of the same rumor, which they got from an (equally sectarian) anti-Shi’ite blogger outside Iraq. According to that side of the story, the killings are really happening, but it’s all the extreme Shi’ites fault: Moqtada al-Sadr, head of the Mahdi Army militia, “wants to embarrass Prime Minister Al-Maliki [by] exposing him and his party’s Bard organization, as unable to protect their own people in front of the Arab League.” (He means the Badr Organization, associated with both the government and Shi’ite religious leader Ayatollah Sistani.) So the Sadrists are murdering emos to make the government look bad in front of other Arab leaders. Are you following all this? Lord, I hope not. It’s all speculative and slightly ridiculous. It’s highly unlikely the anti-emo campaign was meant to embarrass the government: if it were, the killers would have worked much harder to get publicity from the start. (Instead, it was pretty much quiet bloodshed until the end of February.) Any militia wanting to expose the fragile security situation could do so far more spectacularly and with greater economy of means than by slaughtering some obscure kids. For instance: they could embark on the monstrous bombings in 20 towns and cities across the countries yesterday, terror attacks that killed dozens. (Al Qaeda in Mesopotamia has apparently claimed responsibility.) But the way these twin rumors, precise inverses of one another, appeal to credulous people inside and outside Iraq indicates both the matching fears that fester on either side of the Sunni-Shi’ite divide — and the tenuous state of truth in an uncertain country where hard facts are hard to attain. The controversy over emos continued in Iraqi media all week — though driven from the headlines today, to be sure, by the bloodbath of bombings yesterday. And the public, political indignation over the pattern of killings has been the only hopeful thing about the whole horror. We should look at the big dreams they hold in their heads, the aspirations and faith and courage in their hearts, and give care and support for their future. 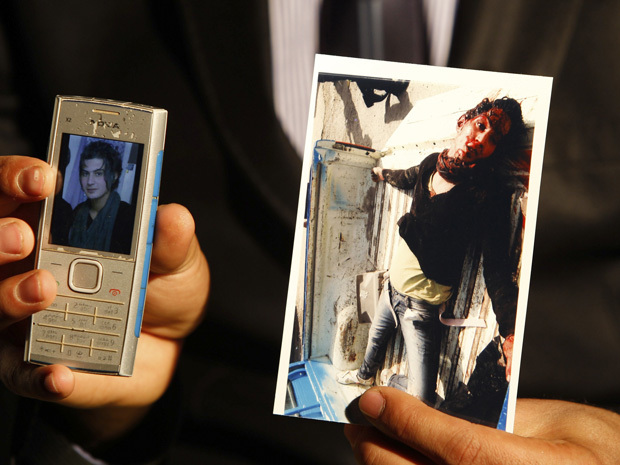 The emo crisis today alerts us again to the need for sustained determination to raise the issue of civil liberties in Iraq, specifically the question of the relationship of the majority to the minority … Once again, there has been made clear the inability of the majority to structurally absorb the freedom of the minority, and the failure to establish a humanitarian perspective toward the difference of others. This entry was posted in Human Rights, Uncategorized and tagged Arab League summit, Baghdad, Bashir al-Najafi, Emo, gay, Harith al-Dhari, Iraq, Khalid Shwani, killings, Scott Long, Shi'ite, Sunni by scottlong1980. Bookmark the permalink.